I am looking for three self-motivated Ph.D. students. If interested, please drop me an email. I am also looking for summer interns and visiting scholars. Shujiang Wu, Song Li, Yinzhi Cao, and Ningfei Wang, Rendered Private: Making GLSL Execution Uniform to Prevent WebGL-based Browser Fingerprinting, to appear in the Proceedings of USENIX Security Symposium, 2019 (25/254 = 9.8%, fall submission, bib). Zhiheng Liu, Zhen Zhang, Yinzhi Cao, Zhaohan Xi, Shihao Jing, and Humberto La Roche, Towards a Secure Zero-rating Framework with Three Parties, in the Proceedings of USENIX Security Symposium, 2018 (100/524 = 19%, bib). Xiang Pan, Yinzhi Cao, Xuechao Du, Boyuan He, Gan Fang, and Yan Chen, FlowCog: Context-aware Semantics Extraction and Analysis of Information Flow Leaks in Android Apps, in the Proceedings of USENIX Security Symposium , 2018 (100/524 = 19%, bib). Yinzhi Cao, Alexander Fangxiao Yu, Andrew Aday, Eric Stahl, Jon Merwine and Junfeng Yang, Efficient Repair of Polluted Machine Learning Systems via Causal Unlearning, in the Proceedings of ACM ASIA Conference on Computer & Communications Security (ASIACCS), 2018 (62/310 = 20%, bib). Kexin Pei, Yinzhi Cao, Junfeng Yang and Suman Jana, DeepXplore: Automated Whitebox Testing of Deep Learning Systems, in the Proceedings of the 26th ACM Symposium on Operating Systems Principles (SOSP), 2017 (39/232 = 16.8%, bib). We won best paper award of ACM SOSP 2017 for the DeepXplore paper. Yinzhi Cao, Zhanhao Chen, Song Li and Shujiang Wu, Deterministic Browser, in the Proceedings of The ACM Conference on Computer and Communications Security (CCS), 2017 (151/836 = 18%, bib). Yinzhi Cao, Song Li, and Erik Wijmans, (Cross-)Browser Fingerprinting via OS and Hardware Level Features, in the Proceedings of Network & Distributed System Security Symposium (NDSS), 2017 (68/423=16.1%, bib). The research is featured by many media outlets, such as BeepingComputer, ZDNet, Top Tech News, EurekAlert, Ars Technica, Fossbytes, Sci-Tech Today, The Hackers News, The Register, I Programmer, Digital Journal and IEEE Spectrum. Xiang Pan, Yinzhi Cao, Shuangping Liu, Yu Zhou, Yan Chen, and Tingzhe Zhou, CSPAutoGen: Black-box Enforcement of Content Security Policy upon Real-World Websites, in the Proceedings of The ACM Conference on Computer and Communications Security (CCS), 2016 (137/837 = 16.4%, bib). All the student authors finished the paper under my mentoring. Vaibhav Rastogi, Zhengyang Qu, Jedidiah McClurg, Yinzhi Cao, and Yan Chen, Uranine: Real-time Privacy Leakage Monitoring without System Modification for Android, in the Proceedings of 11th International Conference on Security and Privacy in Communication Networks (SecureComm), 2015 (30/108 = 27.8%, bib). Yinzhi Cao, Xiang Pan and Yan Chen, SafePay: Protecting against Credit Card Forgery with Existing Magnetic Card Readers, in the IEEE Conference on Communications and Network Security (CNS), 2015 (48/171 = 28.1%, bib). The research is featured by over 30 media outlets, such as NSF Science360 News, Yahoo! News, Lehigh News, ScienceDaily, Tech News Today, Times Today News, and The Economics Times. A detailed list can be found at the following link. I was interviewed by CCTV America for SafePay, and the video was broadcasted on CCTV News (YouTube link). We won best paper award of IEEE CNS 2015 for the SafePay paper. Yinzhi Cao and Junfeng Yang, Towards Making Systems Forget with Machine Unlearning, in the IEEE Symposium on Security and Privacy (Oakland), 2015 (55/407 = 13.5%, bib). The research is featured by The Atlantic (translated to Chinese by almosthuman.cn and appeared in 163 and sohu news), EurekAlert, The Stack, KurzweilAI and ACM Tech News. Boyuan He, Vaibhav Rastogi, Yinzhi Cao, Yan Chen, V.N. Venkatakrishnan, Runqing Yang and Zhenrui Zhang, Vetting SSL Usage in Applications with SSLINT, in the IEEE Symposium on Security and Privacy (Oakland), 2015 (55/407 = 13.5%, bib). Yinzhi Cao, Yanick Fratantonio, Antonio Bianchi, Manuel Egele, Christopher Kruegel, Giovanni Vigna and Yan Chen, EdgeMiner: Automatically Detecting Implicit Control Flow Transitions through the Android Framework, in the Proceedings of Network & Distributed System Security Symposium (NDSS), 2015 (50/313 = 15.9%, bib). Data and source code are downloadable at this link. Xiang Pan, Yinzhi Cao and Yan Chen, I Do Not Know What You Visited Last Summer: Protecting users from third-party web tracking with TrackingFree browser, in the Proceedings of Network & Distributed System Security Symposium (NDSS), 2015 (50/313 = 15.9%, bib). The first author finished the paper under my mentoring. Yinzhi Cao, Xiang Pan, Yan Chen and Jianwei Zhuge, JShield: Towards Real-time and Vulnerability-based Detection of Polluted Drive-by Download Attacks, in the Proceedings of Annual Computer Security Applications Conference (ACSAC), 2014 (47/236 = 19.9%, bib). Yinzhi Cao, Chao Yang, Vaibhav Rastogi, Yan Chen and Guofei Gu, Abusing Browser Address Bar for Fun and Profit - An Empirical Investigation of Add-on Cross Site Scripting Attacks, in the Proceedings of 10th International Conference on Security and Privacy in Communication Networks (SecureComm), 2014 (bib). Yinzhi Cao, Yan Shoshitaishvili, Kevin Borgolte, Christopher Kruegel, Giovanni Vigna, and Yan Chen, Protecting Web-based Single Sign-on Protocols against Relying Party Impersonation Attacks through a Dedicated Bi-directional Authenticated Secure Channel, in the Proceedings of International Symposium on Research in Attacks, Intrusions and Defenses (RAID), 2014 (22/113=19.5%, bib). Yinzhi Cao, Yanick Fratantonio, Antonio Bianchi, Manuel Egele, Christopher Kruegel, Giovanni Vigna and Yan Chen, EdgeMiner: Automatically Detecting Implicit Control Flow Transitions through the Android Framework, Technical Report TR-UCSB-2014-05, Department of Computer Science, UC Santa Barbara, July 2014. Yinzhi Cao, Protecting Client Browsers with a Principal-based Approach, PhD thesis, Department of Electrical Engineering and Computer Science, Northwestern University, June 2014. Yinzhi Cao, Vaibhav Rastogi, Zhichun Li, Yan Chen, and Alex Moshchuk, Redefining Web Browser Principals with a Configurable Origin Policy, in the Proceedings of The Annual IEEE/IFIP International Conference on Dependable Systems and Network - Dependable Computing and Communications Symposium (DSN - DCCS), 2013 (21/107=19.6%, bib). Xun Lu, Jianwei Zhuge , Ruoyu Wang, Yinzhi Cao, and Yan Chen, De-obfuscation and Detection of Malicious PDF Files with High Accuracy, in the Proceedings of Hawaii International Conference on System Sciences (HICSS), 2013 ( bib). Yao Zhao, Yinzhi Cao, Yan Chen, Ming Zhang, and Anup Goyal, Rake: Semantics Assisted Network-based Tracing Framework, in IEEE Trans. on Network and Service Management, Volume 10, Issue 1, 2013. Yao Zhao, Yinzhi Cao, Anup Goyal, Yan Chen, and Ming Zhang, Rake: Semantics Assisted Network-based Tracing Framework, in the Proceedings of IEEE/ACM International Symposium on Quality of Service (IWQoS), 2011 (23/80=28.8%). Presentation Powerpoint Presented by Me. Zhichun Li, Yi Tang, Yinzhi Cao, Vaibhav Rastogi, Yan Chen, Bin Liu, Clint Sbisa, WebShield: Enabling Various Web Defense Techniques without Client Side Modifications, in the Proceedings of 18th Network & Distributed System Security Symposium (NDSS), 2011 (28/139=20%, bib). The ACM Conference on Computer and Communications Security (CCS), 2018, 2016, 2017. The Web Conference (WWW), The Security and Privacy on the Web Track, 2018. IEEE ICNP Workshop on Hot Topics in Internet-of-Things (Hot-IoT 2016). IEEE Conference on Communications and Network Security (CNS), 2014, 2015, 2016.
International Conference on Security and Privacy in Communication Networks (SecureComm), 2015, 2016, 2017. IEEE Transactions on Information Forensics & Security (TIFS), 2012. IEEE Transactions on Dependable and Secure Computing (TDSC), 2013. Applied Computing and Informatics (ACI), 2013. IEEE Transactions on Mobile Computing, 2015.
International Journal of Environmental Research and Public Health (IJERPH), 2015. Transactions on Knowledge and Data Engineering (TKDE), 2017. Real-time and vulnerability-based detection of polluted drive-by download attacks in browser and PDF files. A modiﬁed version of WebKit with conﬁgurable origin policy, the next generation access control policy for web browser. Web Security (Link available on JHU Blackboard). CSE - 303 Operating System Design (Link available on Lehigh Course Site). CSE - 403 Advanced Operating Systems. CSE - 350/450 Cyber Defense and Offense. CSE - 343/443 Network Security; guest lectures on CSE 411, CSE 406, CSE 424, and CSE 252; senior project mentor. I am honored to work with the following brilliant students. James Lamberti (Lehigh, mentored from 02/2016--06/2016). Chang Chen (Columbia, mentored from 09/2014--12/2014). 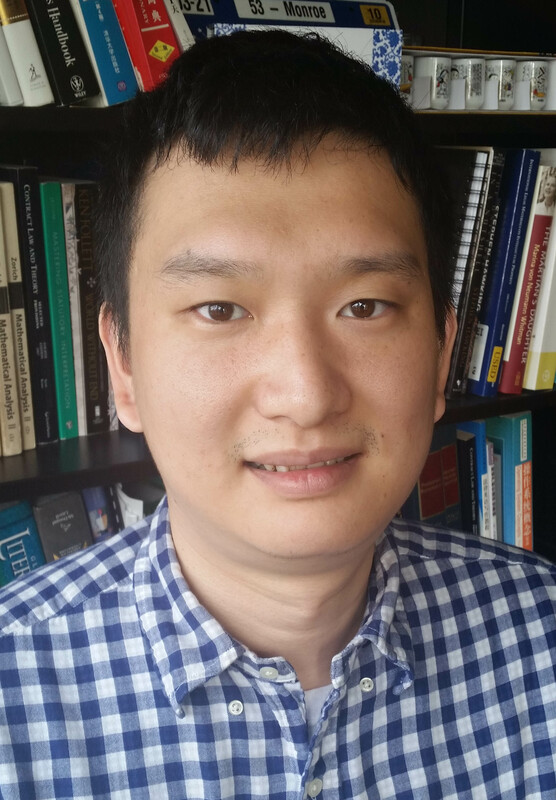 Shujiang Wu (Johns Hopkins, mentored from Fall 2016, transferred from Lehigh). Xiang Pan (Northwestern University, mentored since 2012 as one of his thesis committee members). Jinquan Zhang (Zhejiang University, visiting students from 05/2016--10/2016). Andrew Aday (Columbia, mentored from 09/2015--02/2016). NYU-Poly, October 2015; New York University, May 2015; Georgia Tech, April 2015. Yinzhi Cao, Xiang Pan, Yan Chen, Jianwei Zhuge, Xiaobin Qian, and Jian Fu, De-obfuscation and Signature Matching Technologies for Detecting Malicious Code, filed on March 13, 2014, allowed on October 07, 2015, under US Patent Application No. 14/207,665 (supersedes provisional application No. 61/786,200 on March 14, 2013). SaTC: CORE: Small: Preventing Web Side-channel Attacks via Atomic Determinism, NSF CNS-1812870, 09/2018--08/2021, $500,000, Single PI. Cross-browser Fingerprinting: Attacks, Dynamics, and Detection, Amazon ARA Award, 02/2018--02/2019, $80,000+$20,000 (Amazon Credits), PI (co-PI: Brian Davison). Privacy-preserving Inspection of Encrypted Traffic via Multi-party, Cross-layer Meta-data Communication, Cisco, 09/2016--08/2018, $100,000, Single PI. EAGER: Real-time Enforcement of Content Security Policy upon Real-world Websites, NSF CNS-1646662, 09/2016--08/2017, $94,718, Single PI. TWC: Medium: Collaborative: Efficient Repair of Learning Systems via Machine Unlearning, NSF CNS-1563843, 09/2016--08/2020, $1,199,999 (my share $599,931), joint grant with Columbia University.